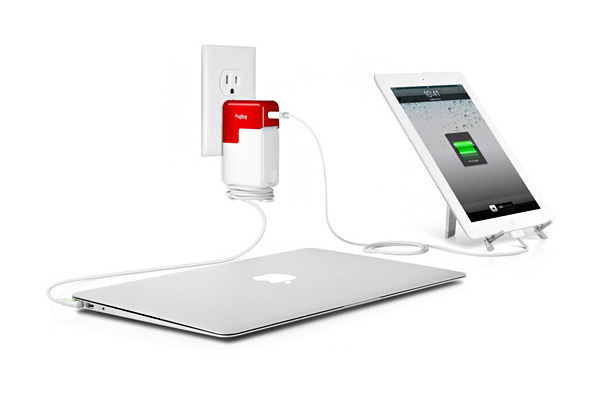 White and red and awesome all over, the PlugBug from Twelve South takes your standard MacBook power charger and adds on a 10W USB port for charging your iPad, iPhone, or iPod touch. Of course it works without the MacBook power brick as well. If you want just one single wall wart to charge your laptop and phone, and you want your friends to say, “Oooh, what’s that?”, then the PlugBug is for you.